"When he saw Sophia, it was obvious they remembered and loved each other." Kenji and Sophia grew up together on a meat farm in South Korea. They had puppies together, and comforted each other through their rough lives. 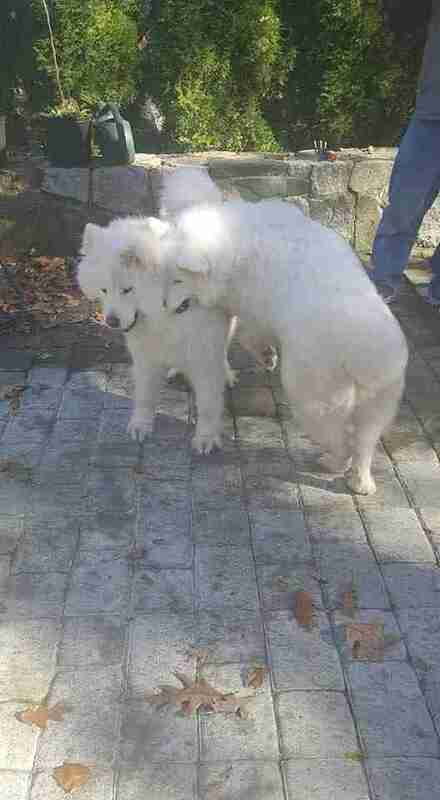 Finally, both dogs were rescued - but ended up being adopted by different families. Kenji and Sophia were rescued by a group called Jindo Love and sent to the U.S. to find homes. 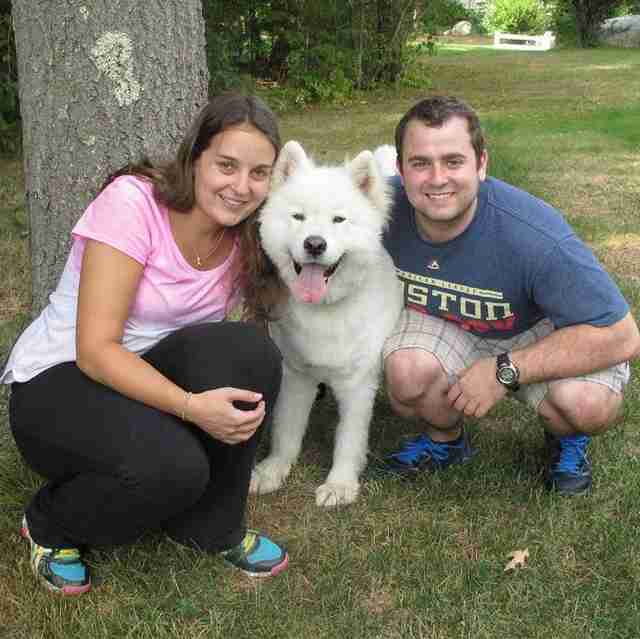 Kenji was taken in by Sweet Paws Rescue in Massachusetts, where he soon met his new mom, Lindsay Goldstein. "He's the sweetest dog," Goldstein told The Dodo. 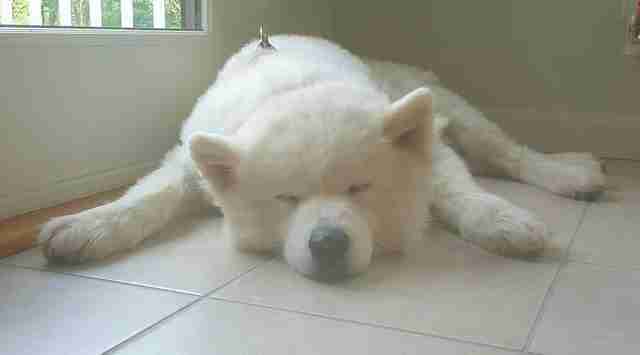 "He's so calm and affectionate, and loves attention and belly rubs. When he's excited he lets us know with his deep howls." Kenji was the perfect addition to his new family and was adapting well to his new home, except for one thing: He wasn't a huge fan of other dogs. 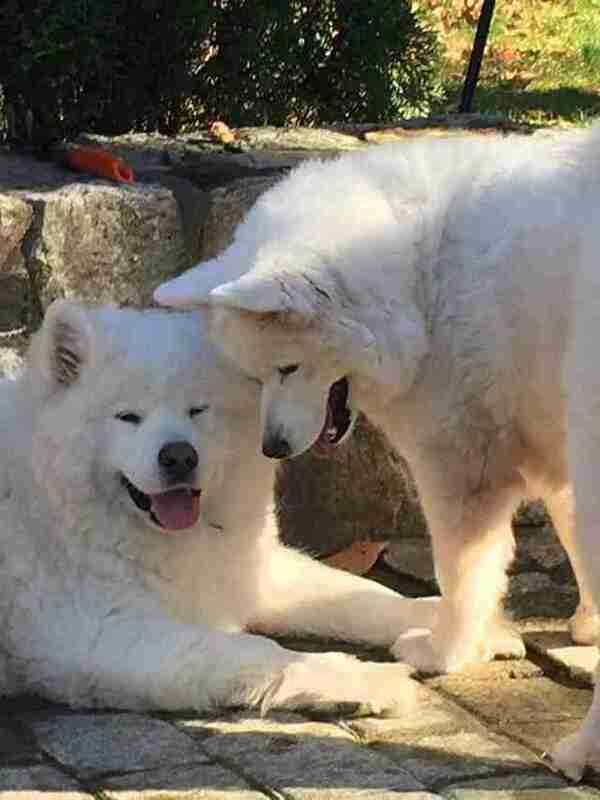 He loved people so much, but wasn't into hanging out with other dogs - until he was reunited with Sophia. ... but as soon as they saw each other, it was so clear that they absolutely did. "When he saw Sophia, it was obvious they remembered and loved each other," Goldstein said. "He's not great with other dogs but it was clear he loved Sophia!" 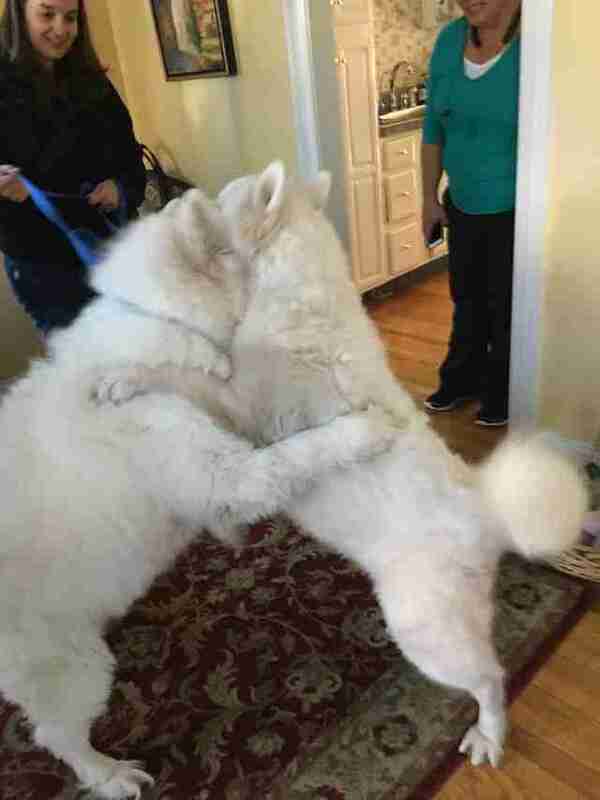 Kenji and Sophia were absolutely overjoyed to see each other, and couldn't stop hugging and cuddling each other. They ran, played and jumped all over each other, and it was like they'd never even been separated at all. "He had more energy than ever that day and loved running around the yard with her," Goldstein said. The reunion was absolutely adorable, and Kenji and Sophia were so happy to see each other healthy and safe. Maybe the reason Kenji wasn't into other dogs was just because he just missed his best friend Sophia too much.